HOUSING PROVIDERS ACROSS THE STATE! TAKE ACTION TODAY! Assembly Bill 1506 was introduced by Assemblyman Richard Bloom which proposes to REPEAL the Costa-Hawkins Rental Housing Act. This is the most threatening piece of legislation put forth in the last 20 years. Why is Costa-Hawkins so important? • Stops the ability to place rent controls on new rental housing. Stops the advancement of terrible policy. • Mandates vacancy decontrol which allows a provider the right to establish rental rates upon a vacancy. You can read the bill HERE! CalRHA needs you to do two things! 1) You must call and write Assemblyman Richard Bloom. 2) Write and call the housing committee members. Tell them you oppose AB 1506 because it will devastate housing and investment of real estate in California! • Costa-Hawkins provides essential protection to independent rental owners and ensures fairness! • Costa-Hawkins has helped ensure Mom and Pop landlords can continue to operate housing! • AB 1506 will deter Investment in rental housing at exactly the wrong time! • Lower investment in multi-family housing will place tens of thousands of future construction jobs in jeopardy and will lead to even less supply of housing! • Owners who plan to collaborate with new initiatives for supportive housing will lose their fervor in helping to solve homeless issues and will become less likely to participate in local government initiatives. • This will destroy retirees sole source of income! • We need to encourage private rental housing! For more information on the Costa-Hawkins repeal, visit CalRHA’s Action Center to learn more and sign up to receive important legislative alerts! maintenance costs are rising and I must be able to raise my rents accordingly. Thank You. We have a condo which is rented out. Upon our 80 th year we plan to move in there freeing out large suburban home for younger folks. Costa Hawkins allows us to use our own condo . It also helps free up our large home for younger folks. Don’t just post a comment here…preaching to the choir. Please send feedback to the sponsor(s) of the bill and the committee members before it is too late! We need to stop the crazies from implementing further government takeover of private property. I am a small landlord providing relatively affordable housing for six families in SFHs and duplexes. The meager cash flow already isn’t very impressive vs other investments. If they pass unjust laws like this AB1506, I will have to quit the rental business (because I will no longer own the property, I only own the bills and the maintenance headaches. The tenants and government become the actual owners in control of my property). Try to explain to them that the problem is demand vs supply imbalance, and their solution is to make it less attractive to rent property out so this can only further suppress the supply. It is totally illogical to take this approach. Also, please tell the Assembly members that, if they’ve read the CA Legislative Analyst reports on housing issues over the last couple of years, they know this is a 40-yr-old housing shortage,across much of the State. So repealing Costa-Hawkins, to put this issue entirely back into local govts’ hands, is a copout. CA needs more new housing & fewer disincentives to people trying to provide rental housing – statewide. We need to get rid of these so called progressive socialistic leaders. They can’t admit their socialistic legislation doesn’t work any better here than it does anywhere else. Name one socialistic country that is prospering. Ever!! All the cities with rent control have the highest rents with disproportionate incomes. Developers don’t build in areas with huge amounts of regulation and when they do it is more expensive. Those costs get passed on to the consumer. Think about it, what do you think rent is going to do if there are fewer apartments because developers can’t make a profit? Remember the laws of supply and demand, cannot be changed through stupid legislation. We need to get rid of the corrupt politicians attempting to gain more power. These politicians have a hidden agenda to line their own pockets. If wages are not keeping up with the cost of living in your city, it is because you have an over supply of workers and not enough JOBS!!! If you have this situation in your city then your politicians are not creating jobs (like in construction of new apartments) and a too few apartments. This is not a greedy landlord issue it is a mucked up leadership issue. Do you think creating sanctuary cities has any effect of job availability and the supply of apartments? What do you think creating restrictive zoning laws does for developers? You think, maybe strict zoning laws make corruption possible? Does this create a situation for the city to charge high fees for zoning variances and payoffs to politicians for these zoning ‘favors’? Hence the lack of supply, higher rents and lower wages. Please don’t continue to be fooled. It is not a landlord issue, it is corruption of the politicians in your city. Get rid of them and tell them to start removing all the restrictions. You will see how fast things will return to normal. Get rid of Bloom, Chiu and Bonta. They are what’s wrong with our economy. Their ideas are not working. Stop letting them make you suffer. Get paid what you’re worth!!! I own a triplex in Los Angeles. I am not rich. I am a school teacher who works hard to maintain my 1930’s triplex. I am a decent, hardworking person trying my best to be an excellent landlord, but it’s difficult to keep up an old building when prices on everything are raised every year. A handyman costs more per hour than I make in two hours as a teacher! I have wonderful, happy tenants who have lived in my building for many, many years paying way below market rent. My only hope is that one day if one of them moves out, I can get market rents and not have to worry about how I will keep up. I am strongly opposed to AB1506 and am devastated that you would even think of proposing this. This will be devastating to me. I’ve worked my whole life as a teacher, been involved in my community, volunteered in the neighborhood my triplex is in, and I am relying on a little extra income to help me in my retirement. This is unAmerican! Please reconsider! Should AB 1506 pass I’ll be forced to sell my triplex and the new buyers moving into Echo Park are all corporate with little interest in my beloved neighborhood! They couldn’t care a less about the tenants like I do! I live in Los Angeles. I am a third generation Los Angelino – my grandmother remembered when Fairfax Ave. was a dirt road. My family owned the first brick building on Melrose Ave.
We have seen Los Angeles go through several changes. From neighborhoods changing to the city’s growth from farms to houses to sprawl. Reinvention and change is part of Los Angeles’ history. I am very unnerved and concerned about horrible legislation being considered to remove Costa-Hawkins and replace it with a draconian rent control law that I fear will extremely exacerbate our housing crisis. Bad policy created this crisis. Even worse policy will create horrible results. When the Northridge earthquake struck, a well meaning but policy clueless California assembly issued a mandate that all developers be liable for 10 years for multi-unit dwellings. As a result, developers started building single family residences over apartments. SFRs use a greater footprint per person and, as a result, started a trend that ate up most of the excess land available for development. Given the outdated zoning restrictions in Los Angeles that do not allow for certain types of mixed use or multi-family dwellings, Los Angeles is becoming more crowded and the residents and growing number of new arrivals to the city, crowded out. THIS IS NOT THE FAULT OF PROPERTY OWNERS! THIS IS A CONSEQUENCE OF BAD POLICY CREATING BAD OUTCOMES. There are over 110,000 homeless in my city. There are only 4500 short term rental units in Los Angeles. These range from spare bedrooms to houses. This meager amount of housing will not even make a dent in our housing shortage. It will not alleviate our homeless problem. IT IS A SCAPEGOAT EXCUSE for the unwillingness to change outmoded policy and indicative of a lack of progressive and innovative ideas to address this problem. Making us a scapegoat will not solve your problem. It will only make the problem worse because it is not being addressed. We need MORE HOUSING, not more restrictions to development. WE need more density, not catering to NIMBYs. 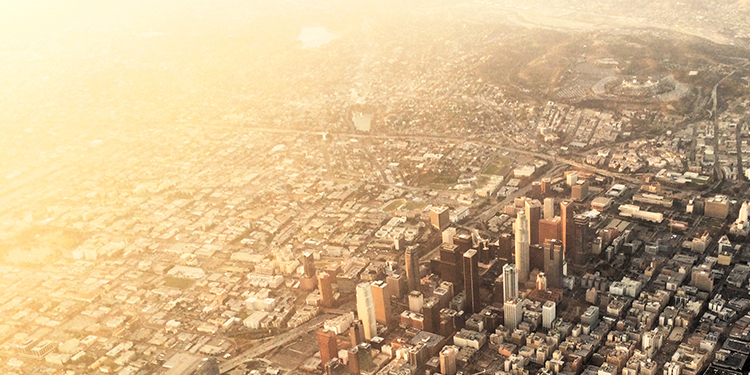 Los Angeles is the second most populated city in America. I believe that it will one day be the most populated city in the country. Our weather alone is a major attraction. That our city leaders are not preparing for this eventuality is a short sighted failure on their part. Lower the minimum square footage for a dwelling. Allow micro housing throughout the state, particularly for areas with a large homeless population. Decrease spaces to 110 to 160 square feet. Allow for less parking near metro lines. Allow the avoiding of zoning restrictions without a variance in commercial and industrial areas. Allow increases in height to maximize density with considerations to fire safety. Allow for ‘granny units’ and secondary dwellings in SFRs. Most backyards are not being used – why not have a small backyard unit to rent out? Create a process for garages and secondary structures to become ‘short stay’ units. Allow homeowners to receive vouchers that are given to people in lieu of motels. These stays will more than likely create some long term opportunities for some people. It will also be a testing period for landlords. Even though the number of short term to long term transitions may be less than 10%, it is better than the 0% that renting at a motel returns. It isn’t as though the housing shortage wasn’t expected. The CRAs around the state projected housing shortages that are manifesting today. The budget for CRAs were taken by Gov. Brown to deal with the state’s fiscal crisis. But the problem remains and is not going away. It will only become worse with time.